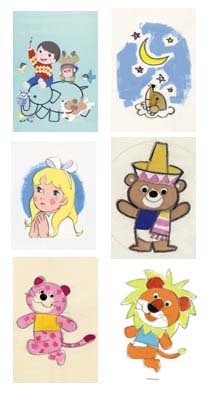 Yasuji Mori’s illustrations are printed onto 12 post cards! 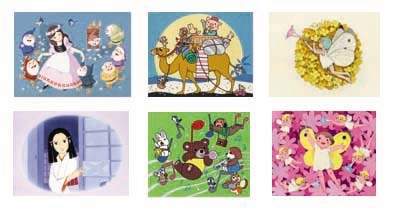 This set of post cards is produced for the anniversary of publishing the second art book of Yasuji Mori “Mogura Note:Master Animator- His Animated illustrations”. 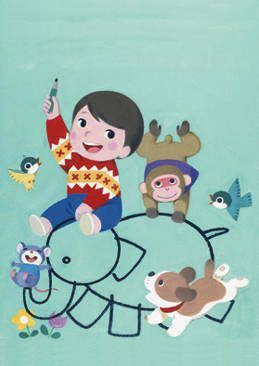 Therefore all illustrations on postcards are taken from this book and “Yasuji Mori: Master Animator- His Animated Drawings”.